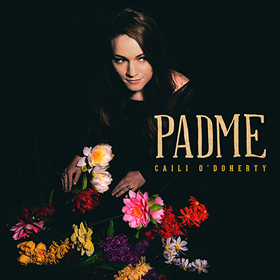 July 2016 marks a year since composer and pianist Caili O’Doherty released her debut record Padme. Why review it now? Because thanks to the pendulum of good taste, which ensures that good things never disappear, it remains as fresh and sublime now as it did when it was first released. In the nine compositions featured on Padme Caili O’Doherty shows her mastery of melodic invention, the art of songfulness in a compositional narrative and a wonderful sense of the textures and timbres of a variety of instruments. Most amazingly she knows the rightful place of each instrument that she works with and is able to create a unique voice for it in the grand scheme of things. This would simply not have been possible if Caili O’Doherty had been a ‘normal’ musician. But she isn’t. On the contrary, O’Doherty displays genius, as well as maturity far beyond her years. Also of unusual value here is an unfettered imagination which is put to work to enthusiastically describe everything around her and then to describe it in a vivid manner. Needless to say this has produced an exhilarating performance in which every human emotion is encompassed within an album of rare beauty. O’Doherty carefully draws out every dramatic nuance from this musical feast for the senses. One has only to listen to the opening bars of ‘Ode to St. Johns’ and ‘The Promise of Old Panama City’ to fall completely under the spell of her charms. 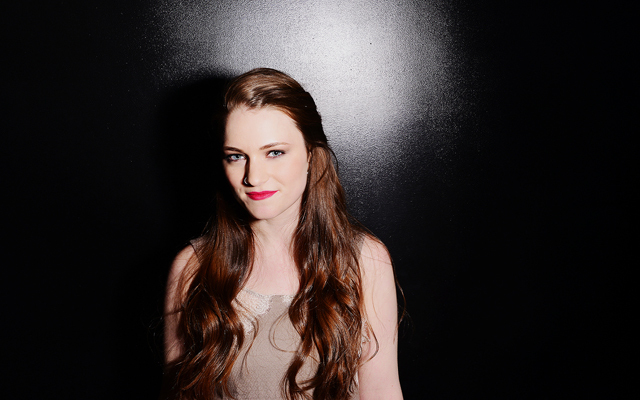 Such is the power of her hypnotic musicianship. There is a wonderfully kaleidoscopic (though carefully graded) palette of intense colours throughout, with plenty of sonorous bloom for the celebrated musicians who accompany her on this adventure. Special praise goes to O’Doherty for her writing for the violin of Alex Hargreaves, which informs the meditation of ‘Prayer Song’, the whimsy of ‘Tree of Return’ and arguably the album’s most gorgeous song ‘The Promise of Old Panama’. Praise also goes to the rest of the musicians who’s playing sounds so effortlessly lovely and fluid as they bring out the upper and lower voices in the music. Their soloing is quite memorable and the unanimity of attack on ensemble passages makes for exquisite listening. This is a sublimely beautiful yet rapturous performance across the board, but it is especially so of Caili O’Doherty’s recital. And to think that she has not even reached the peak of her creative powers. Track List: Padme; Rose Baião; 89 Chestnut Street; Prayer Song; Ode to St. Johns; Stumptown; Tree of Return; The Promise of Old Panama City; Ravine. Personnel: Caili O’Doherty: piano, Fender Rhodes (2); Mike Bono: guitar (1); Zach Brown: bass; Cory Cox: drums; Adam Cruz: drums (4); Alex Hargreaves: violin (4, 7, 8); Caroline Davis: alto saxophone (2, 5, 6, 7), vocals (5); Ben Flocks: tenor saxophone (4, 7, 8); Eric Miller: trombone (4, 5, 8).